In an effort to promote innovation and entrepreneurship among the youth, Doves in partnership with Elevate Trust has sponsored the first-ever Innovators Hub Club Hackathon at Midlands State University. Three groups of students who are members of the Midlands State University Innovators Hub Club walked away $500 richer after excelling in the Doves Hackathon Innovation and Enterprising Challenge held at the University’s Gweru Main Campus on the 19th of November, 2018. Midlands State University Incubation Hub Director, Dr Patience Siwadi urged students during the opening of the event to step out of the box and fully utilise the facility whose sole purpose is to develop ideas and commercialise them for the benefit of the student entrepreneurs. ‘You are at an advantage because you have so much information …what makes it even easier for you is that Doves is working with Elevate trust to support you and as a University what we can say is that the Incubation Hub is open for business,’ said Dr Siwadi. The challenge was divided into three components, efficient insurance platforms, market penetration schemes and corporate social responsibility programmes. The students were given time to work on these assignments after which they delivered presentations before a panel of judges that included officials from Doves and MSU members of staff among them, Patron of the Innovators Hub Club Dr Michael Bhebhe, Chairperson of the Department of Chemical Technology Dr Gift Mehlana as well as Mr Talkmore Sibanda and Mr Marvellous Nyongoro both from University’s Incubation Hub. The criteria for adjudication focused on team diversity, research, innovation as well as the actual presentation. Speaking during the prize-giving ceremony, Doves Marketing Manager Mrs Juliana Maisvoreva said the students performed well as they managed to come up with new and fresh ideas within a limited time. ‘Some of you came up with very interesting ideas which are worth noting … We as Doves want new ideas so that we can use them to develop the product and further penetrate the market. On the whole, this was quite good though of course not all of us can be winners,’ she said. Team Stars walked away with $500 for excelling in the first category which required students to come up with efficient insurance platforms. The Falcons excelled in the market penetration category while the Lions took the lead in the corporate social responsibility category. Innovations from the three winning teams stand a chance to be incubated in the Midlands State University Incubation Hub. 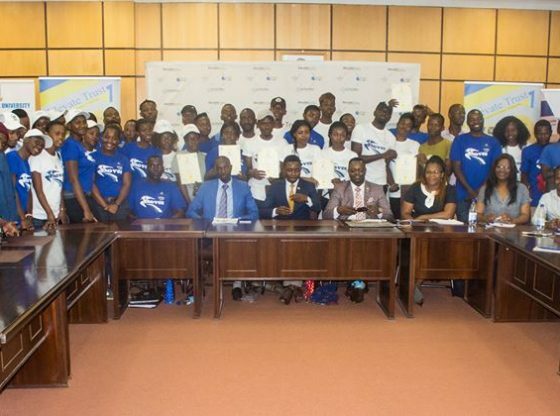 Innovators hub clubs have been sprouting in tertiary institutions through Elevate Trust initiatives with Midlands State University, Harare Institute of Technology and the National University of Science and Technology, having recently launched their clubs. The MSU Chapter is sponsored by Doves for the year 2018.